The team of the CCCU Centre for European Studies – Director Prof Amelia Hadfield, Graduate Coordinator Noora Virtannen and Undergraduate Coordinate Christian Turner – analyse and comment on the suspension of Conservative MEP Richard Ashworth from party whip. On Tuesday 3rd October 2017, a resolution was put forward by Guy Verhofstadt, the European Parliament’s representative on Brexit, that the negotiations surrounding Britain’s departure from the European Union were not yet advanced enough to justify moving onto Phase Two of the discussions: namely negotiating the future relationship between the two parties. The non-bidding motion was comfortably passed by 557 votes to 92, with 27 abstentions. Of the 557 MEPs to vote for the motion, 26 were from the United Kingdom. Within this group of 26 UK MEPs, 18 were Labour, 3 Green, 1 Liberal Democrat, 1 Sinn Fein, 1 Plaid Cymru and finally, 2 from the Conservatives who sit within the ECR (European Conservative and Reforms Group). Four of these MPs represent the South East of England, including Labour’s newly selected John Howarth, who replaced Anneliese Dodds over the summer, and Richard Ashworth, who has served in the ECR since 2009, and briefly led the Conservatives in the European Parliament itself between 2012-13. Mr Ashworth responded by insisting that this was ‘not a vote against Brexit (nor) a vote to derail or obstruct negotiations’. He added that the negotiations ‘need to urgently move on to trade… however, it is my view that we have not yet made sufficient progress on phase one’. The motion in the European Parliament was more than just symbolic. Their vote is a solid indication of where MEPs from across Europe stand regarding their opinion on the progress achieved in terms of agreeing both the timetabling and policy substance of Brexit. The EP is a central part of the EU’s institutions and entitled to give its opinion. Trying to muzzle its own MEPs appears procedurally inconsistent at best and censorship at worst. The clash may have been inevitable. The chasm between UK MEPs, Westminster and Whitehall was broad enough even prior to the 2016 Referendum. But the Brexit decision has effectively frozen the specific role of UK MEPs, as well as inter-Parliamentary relations between Westminster and Brussels, at least until the future ‘look’ of UK-EU relations emerges more clearly. At a CEFEUS event held here at CCCU in conjunction with Kent Rural Plc in April 2017, Mr Ashworth stated clearly that there had been no dialogue whatsoever between MEPs and Theresa May’s Government. Furthermore, when asked whether he had spoken with Andrea Leadsom, the then Environment Secretary about agricultural issues given his own considerable expertise in the area, Ashworth said that he had not had the opportunity to either meet or indeed speak with her on this, or any other issue. Ashworth and Girling’s suspension didn’t exactly make for breaking national news. Perhaps we were all recovering from the cavalcade of party conferences. Few, if any, members of the Cabinet, and Parliament’s 1922 Committee are much bothered about the suspension of either Ashworth or Girling. The two MEPs meanwhile are left in limbo, merely for voicing their opinion and voting on the basis of what they credibly perceive as a lack of evidence regarding the progress of Brexit negotiations. No support appears to be forthcoming from the ECR, and there will be none from Westminster. From London’s perspective, MEPs in general were unimportant and British ones soon to be an irrelevance. This is a blatant misreading of the situation. The EP holds a great deal of power in Brussels and works effectively alongside the Commission and the Council in advancing policies, but also the rationale behind those policies. The 27 EU Member State Heads of Government, in the form of the European Council, will decide in mid-October whether to advance negotiations to Phase Two; the vote taken by the European Parliament will have made an important first impression in this respect. Just as key is the fact that the European Parliament will itself get a vote (minus the UK MEPs) on the final Brexit deal itself once negotiations have concluded between the UK and the EU. The British government neglects this point at its peril. Ashworth meanwhile should be commended for standing his ground. In his concluding justifying his decision, he provided a strong reason for voting against the measure, saying simply: “it is my judgement that moving to phase two before adequately completing phase one would ultimately lengthen the negotiation, not shorten it, and would diminish our chances of a successful outcome to our trade negotiations”. Brexit will be at the forefront of Government policy for at least the next decade, and possibly beyond. Reworking the UK’s relations with the EU will affect every single sector, large and small, and every single part of this country. 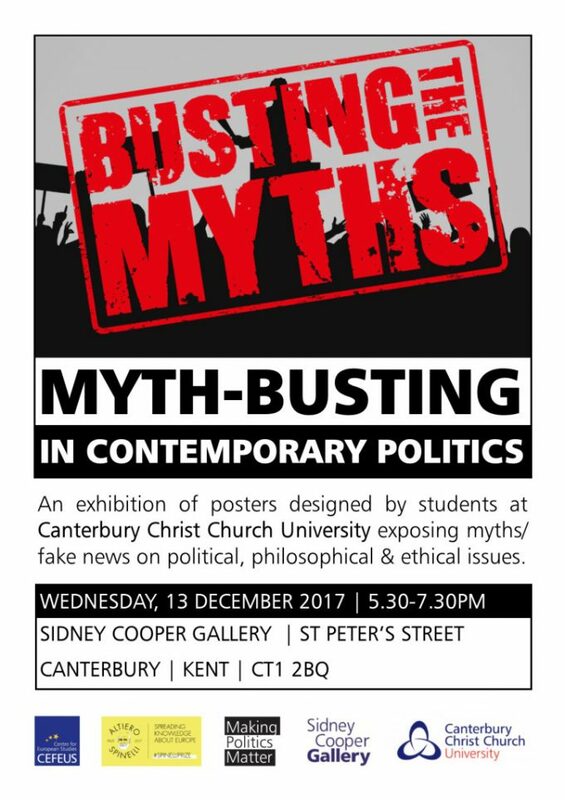 For the generation of students at Canterbury Christ Church University, and up and down this country who are soon to begin their working life, chances are that Brexit will influence their entire careers. This is seminal stuff. It is an issue that is deeply bipartisan and also deeply divisive. Ashworth was voted into power to represent in Brussels the citizens of his constituency in just the same way as MPs are to Westminster. With issues of this nature, as a representative “of the people”, Ashworth it entirely within his right to vote according to his conscience, and do what he believes is right. It is wholly wrong and improper to punish individuals who do so pursuant to the rights obligations of their post, and the more so when they can more than adequately justify their decision. It is a pity that Theresa May has not taken the opportunity to provide as much clarity in her Brexit plans as Mr Ashworth did in explaining his vote.